Another museum we visited in Washington, D.C., was the National Museum of the American Indian. I grew up in an area strongly populated by Indians. I think the history of these people native to America is fascinating – both interesting and horrifying. I have wanted to visit this museum since it was established. It was not open when I got to first visit DC so it was high on my “must do” list this time around. The museum did not disappoint. It is densely packed with exhibits and information that helps each of us understand more about these peoples and their history. From artifacts to badly done movies and advertisements, this museum covers it all. One area that we found fascinating was the artifact exhibit that showcased hundred of items. Each item is number and listed. There are electronic screens close by that you can touch to find out more about the items that interest you. Each item seemed to have information on where the item came from, the Indian group that it is associated with, how old it is suspected to be, and what it was used for. There were many items that were similar but from different Indian groups and those were interesting to look at and compare. We spent a fair amount of time in this area. Another interesting area showcased articled that had been intricately beaded. One of the most fascinating was an American flag that had Indian group named embedded in the beads of the strips of the flags and the initial of each state on the stars. It is stunning! We made sure to visit the floor that covered many of the different Indian Nations and their history. It was presented well and we went from group to group, seeing the difference in what they ate, how they dressed, the different ceremonies they had, and other things that made each nation unique. It was extremely well done. There was a small area that had seating close to some video screens. Those screens were showing animated tales and legends from the Indian nations. It was interesting to listen to the legends and stories, to see them animated. Miss J was particularly interested in these tales. The last part we had time to visit was the advertising and other promotional items area. This was a huge room that had every advertising thing that had ever been done with any relation to an Indian or native peoples group. From Barbie dolls, which the girls found interesting, to Big Chief Tablets, from motels in teepee shapes to drinks named after Indians, it was really a unique look at how our nation saw/sees these Americans. One the main floor there are several examples of canoes and other water craft. These life sized craft were interesting and really help see how the area of the country the people lived in influenced their construction. This was also true just outside the exit, where we were able to see some crops planted and some outdoor ovens. From the walkway up to the entrance through the exit and onto the sidewalk going away from the museum, this was a fascinating place to visit. I enjoyed it very much and truly wish I could remember many of the things we read in that building. It was stunningly created and displayed and a stop I would highly recommend. By the Way is a fun and fact-filled series of books written by author Joy Budensiek. We have been enjoying one of the four newest books in the By the Way Book Series as we think about planning a trip before too long. Indiana ~ By The Way is the book we have been enjoying. The other new ones include New York City, Alaska, and Ireland. There are currently 10 books in this series. Joy Budensiek began writing these books to help families have an interesting and fun way to discuss spiritual truths in everyday life. After hearing the startling fact that most Christian families do not intentionally discuss God’s hand in every day life, she created this series to lend a hand and lead the way for families. These geographically based books help parents teach a Christian worldview through a bright and exciting children’s book. Each of the books in the series is a hard-back book that is printed in full color. It contains pictures of the actual places and animals discussed, as well as drawings and other images to illustrate other ideas or things. The reading level is upper elementary and the book is about 50 page long. Each page is packed and we would read about 6 or 8 pages in a sitting. This allowed us to discuss ideas and talk about things that interested us. More than once, while I was reading aloud to Miss J (age 9), one or both of the older girls would come look at what we were reading about. Often, we ended up at the computer, looking at the places on a map or reading more about the place mentioned. By the Way tells the stories of two children who explore the world around them, wherever they end up. Alex and Lexi find themselves immersed in the beauty of God’s creation and seeing God’s hand in the world around them. In the book about Indiana, they are visiting family at Thanksgiving. Their family explores the state and finds a lot of interesting places to visit, things to learn, and animals to see. There are quite a few covered bridges in Indiana. And, we hope to see some when we end up visiting that state. There is a lot of wildlife, including Monarch butterflies (Miss L’s favorite), cardinals (Miss J’s favorite), bats (reminding Miss E of a visit to a cave a year or so ago), deer, lots of other birds (more of Miss J’s favorites), bears, rabbits, and many, many more. There are sand dunes! We know sand dunes from White Sands so it was interesting to learn more. This state borders Lake Michigan and is MUCH smaller than Texas. There are large Amish communities in the state. This was really appealing to Miss E and Miss J since it relates so well to another book series they are reading about a young Amish girl. These are just the tip of the iceberg with what you will learn about Indiana in this book. It is so easy to extend this type of learning. Marking a map, adding additional animal research or sketching, creating artwork related to themes and ideas, looking up more on the plants mentioned (orchids!) and trying to grow them – the possibilities are as varied as your own imagination. As wonderful as all of this learning about Indiana is, there is something much better woven throughout the story and the pages of this book – God’s hand in nature and life. Intentionally looking for ways to help the reader see God’s hand, Bible verses are woven into the story and into the lives of the characters. One of these places is when talking about the beauty of the changing leaves in fall and Psalm 90:2 is quoted. Another example is when they are talking about caves and bats. I John 1:5 is brought up. In the discussion about Thanksgiving and its history, James 1:17 is quoted to remind us that God gives so many good gifts. In addition to this, the discussion between the adults and the children in the story models well how to intentionally bring up God’s plan, His hand, and His wonderful creation in every day discussions. Finding life lessons from God is modeled well in this series of books. In Indiana, we see this when having a thankful heart is taught. We see it when they are teaching about the Amish and they mention “Family and faith are most important to them. Anything which threatens these is rejected.” (p. 35) Billy Sunday is discussed and the adults teach the children about the worth of salvation in contrast to the salary he gave up. They also model this idea with nature – the animals are so perfectly created that the butterflies know exactly when to migrate, the bats know how to hunt, the farms are blessed by the rain and sunshine, and the variety of trees that exist. This modeling is wonderful and reminds us of the important things in life. The By the Way series is fantastic at not only teaching about interesting places but in teaching about God’s perfect creation and our lives in it. Indiana is another fun book in this series. Want to know about more? We reviewed Colorado previously on the blog and have read the Washington book, also. 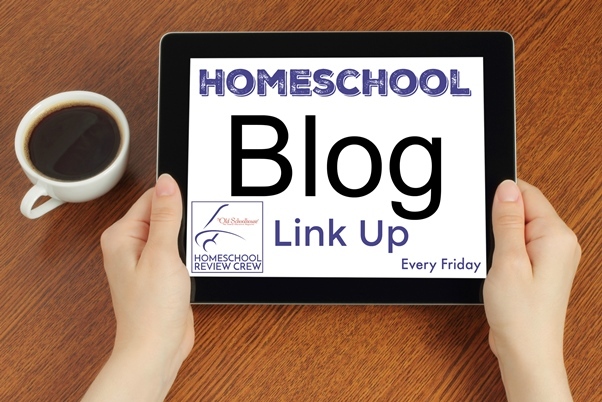 Be sure to visit the Homeschool Review Crew to read about the other books in the series that are being reviewed this time around: Alaska, Ireland, and New York City. We were asked which books we might be interested in and these were our top three choices. Why? Because each of these countries were affected by World War II and Miss J has been studying WWII. This gave us yet another literature correlation to our study and I knew for a fact that they were quality literature. In addition to have an easy-to-read text, the If You Were Me series are written from the viewpoints of children and are written in a way that children can relate to them well. As you open each book, there is a map (not drawn to scale but still helpful) of the country, followed by a page with a globe that shows where the country is located. The books are well-researched and a pronunciation guide with definitions are provided with each one to help the readers understand a bit more about the culture. The illustrations are engaging and colorful, enhancing the enchanting text, bringing it all together. The book about Russia covers a lot of family words, like mother and father. As you read along, words are incorporated naturally. In talking about going to the store, the book mentions the word for a fur hat and that you would use rubles to purchase it. Major landmarks are included such as St. Basil’s Cathedral, Red Square, and the Kremlin. Food is not left out and descriptions of borscht, piroshky, caviar, samovar, and more are included. Favorite pasttimes for children are mentioned and include chess, playing with kuklas (dolls), and ice hockey. The new year is a big holiday and much of the details of it are included, from the gift bringer Ded Moroz to the New Year tree, favorite foods and the fortune teller tradition. This was a simple look at a complex society so it is definitely not comprehensive. Yet, it is a good way for children to get a look at another culture and some of the ways in which children from there are like them and different from themselves. The text itself is not difficult but because there are a number of Russian words with pronunciations included, I would not recommend a child try to read this book alone. Guidance would be greatly beneficial for children under the age of about 10. The book on Germany actually begins with a bit of history about the country itself, where it and its name originated from. There is also information about the city of Berlin and its importance. Boy and girl names are shared, as well as other family names including mother and father, grandmother and grandfather, and aunt and uncle. The beautiful castle Neuschwanstein is pictured (an actual picture, not a drawing – I like that it shows it accurately this way) and the history is shared. Euros and marks are talked about and why the change was made. Food, of course, is covered including hunger-inducing dishes such as sauerbraten, sauerkraut, dumplings, and apfelstrudel. (This made Miss J ask her daddy to make her some apple strudel and it was yummy!) Activities such as fussball (soccer) and going to Oktoberfest are part of their lives. It closes out with a bit more history and several interesting facts about Germany. I like that this story contains so many bits of the history of the country, as well as the information on the actual culture that we would expect. Between the history, the food, and all the words, I feel like this is a good book to help someone know a bit more about Germany. The story is engaging and easy to read, though the pronunciations of the foreign words will make it a bit more difficult for a child. Poland was one that I chose solely due to the involvement of the country in World War II. It is often mentioned so I felt it would be a good one for Miss J to know a bit more aobut. This book definitely did its part for that, without getting so much information that she didn’t understand any of it. One of the fun bits about this book on Poland is that backgrounds of almost all of the pages are actual photographs that have drawings on top of them. This allows the beauty of the country to be seen clearly. The book, like the Germany book, give a lot of history about the country. From the various names for Poland itself to a legend about how the city of Warsaw got its name, the text is engaging. Because much of Poland’s interest includes famous people, the book includes people such as the composer Chopin and the astronomer Copernicus. Sports are important to these people and so football (pilka nozna), skiing, and sledding are featured, as well as ice hockey. Food is shared through a trip to the grocery store and dinner at the grandparents. From mleko and hleb (milk and bread) to rosol broth, makaron, sledz and pierogi, hunger creeps up reading about the food. Bird watching and a game called “spot the gnome” are fun activities for all ages in Poland. While each book contains many of the same types of information, each one seems so very different. That is partly because of the different culture of each book but I also feel that Carole P. Roman does a great job of writing the differently, with a slightly different focus that helps you get a feel for things that are important to that culture. For example, Germany seems to have a big focus on history while Poland’s focus in on activity and outdoor sports. This keeps each book in the series fresh and new and exciting, even when you are reading several of them back-to-back. This is a wonderful series for children to learn more about other cultures around the world and is a great supplement to any country or continent study that you may be doing. As I mentioned, we pulled a bunch that we already had on the shelf for our WWII study and then added these when they arrived at th house. A couple of years ago when we were doing a continent study, I put the various If You Were Me books that went with the continent in the basket along with the other items to help us get a feel for what the continent was like. These are so very flexible and packed with such good information that I highly recommend them. And one of the best parts – they get read and enjoyed! When these three books arrived at the house, they disappeared into one bedroom and the another and were read by two of the three girls within two hours of receiving them. The other young lady had read them in a couple of days. The appeal of these books is strong and since the content is quality, I don’t mind giving them free rein to read them. 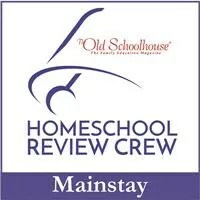 Click on the banner below to read reviews from the Homeschool Review Crew. Today, we were talking about Norway in our Let’s Go Geography lesson. (Read our review of Let’s Go Geography.) We are still really liking these easy but informative geography/history lessons. The embedded links to interesting videos coupled with map work, some history, national anthems, and some animals keep Miss J interested. The map work is just enough to challenge and it includes enough review to help retain the information. A large part of Norway’s background is Viking and they are pretty proud of it. The activity today was to create a Viking ship on the ocean. Miss J had lots of fun with it and it was simple to do. These types of conclusion activities are right up her alley and seem to tie it all together for her. Let’s Go Geography is one we are definitely keeping in our rotation of lessons. Linked up with the Homeschool Review Crew and the Virtual Refrigerator. We recently studied India as our family’s country of choice for the International Feast Night we had with some other homeschool families. We had a blast and learned so much about India. We kicked it off by reading The Hidden Village by Bonnie Rose Hudson. Read my review to learn more about that book. After learning about Manju and the world he lived in, we watched some videos. These videos taught us a lot about West Bengal, the part of India that the book was set in. We learned about Bengal Tigers, jute harvesting, the uses of jute, mangroves, markets in West Bengal, foods, mongoose, and more. There are a lot of things to learn about. We also learned that West Bengal is just one of the part of India, which is extremely diverse. To learn about other parts of India, we used several resources from SchoolhouseTeachers.com. This is a site that we use often through the year and it provided us lots of good information on India. From the video titled India Unveiled in a series titled Trek to the Holy Land to a history study titled A Splash of Geography with a section on India, we had access to lots of good information and images. We looked at, but did not use, lapbooking sets on the rhino and the Bengal Tiger, both available at SchoolhouseTeachers.com. By far, the best resource on this site was Asia: Trade Route Safari (also by Bonnie Rose Hudson, who wrote The Hidden Village that we kicked the study off with). We learned a ton from the India sections of this study. We used an art project that is available as a lesson from ArtAchieve. In level 1, there is a study of wood block printing in India. This is how they print fabric for the saris. Miss J created this print using the techniques of this art lesson and some videos from their cross-curricular materials. Miss L studied the sari and decided to duplicate it with material on two of our 18 inch dolls. They were adorable. We also used a set of notebooking pages from Hip Homeschool Moms titled Around The World Notebook Pages. These were neatly put together. The girls were able to research information for them easily and it was easy to for them to complete the pages. The recipes came from these two food blogs from India – Chef de Home and Fun FOOD and Frolic. There are tons more recipes on these two blogs and I would definitely like to try a few more. At the feast, the girls set up a display table with their information and projects. Each family also took a few minutes to talk about what they learned, giving each child a few moments. (Great public speaking practice!) The students also had to introduce their menu and describe each of the foods so that everyone could know what they were eating. This was a fun night. Hopefully, this will give you some resources for your own study of India. This is a very large, diverse country and we have barely touched on it. Perhaps we will cover some more during the springtime when we need a diversion one day. So much more to learn! 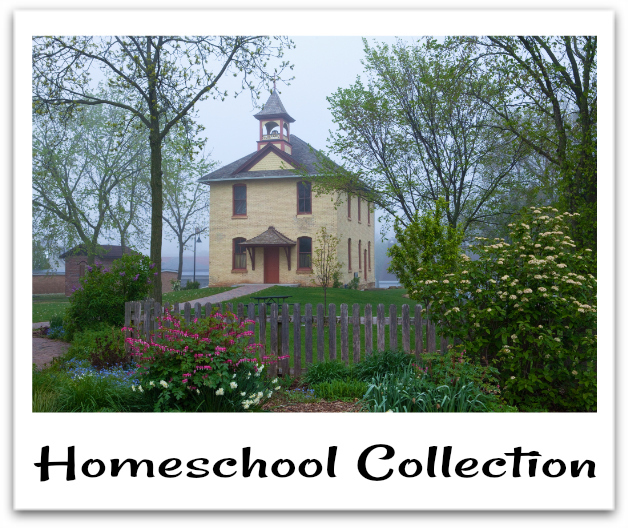 This post is included in the Homeschool Collection at the Homeschool Review Crew. Click the image below to see the entire collection of posts for March 2019.